The "new stylish Galaxy W" is coming to O2 in the UK this month. Although no specific date is given expect it to hit sometime towards the end of the month. Again no price was specified but you should expect to pay at least Â£350, and probably a bit more than that for this phone off-contract. Â£30p/m should let you pick this phone up for free on a contract too. 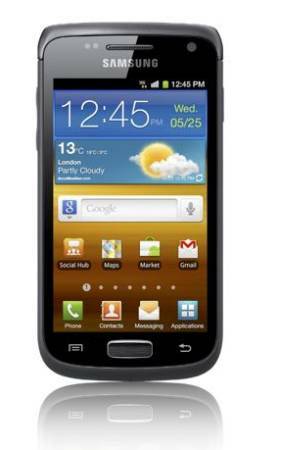 It's a fairly decent phone from Samsung, with the W signifying it isn't the top end of the Galaxy line, but quite close. With a 1.4Ghz single core CPU, it certainly won't slow you down.